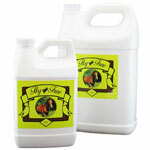 Mange Parasite Oil is a natural effective remedy for parasites such as lice and mites. 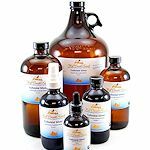 This natural organic Mange Parasite Oil works well for mange mites in dogs, rabbits, ferrets, goats, horses, and other animals. 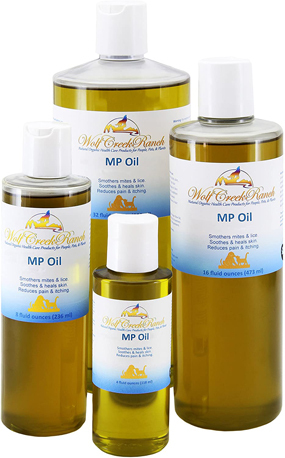 Certified organic Mange Parasite Oil remedy smothers mites, lice, and other microscopic parasites while it heals and soothes rough, dry, irritated skin. Mange Parasite Oil kills parasite eggs, so helps prevent the hatching egg cycle. Extra Virgin Olive Oil ~ Soothes rough, dry skin. Smothers mites/parasites. Helps relieve itching and irritation. Clove Essential Oil ~ Alleviates pain, kills microscopic parasites, anti-microbial. Lavender Essential Oil ~ Soothing, healing, calming, antiseptic. Tea Tree Essential Oil ~ Anti-microbial, anti-parasitic. Rosemary Essential Oil ~ Anti-septic, anti-microbial, healing. Shake Well before use. Apply externally 1 to 3x/week to affected furless or featherless areas making sure to apply 1/2" to 1" into the surrounding fur/feather area, as that is where the mites currently reside. Ear mites: apply in and around the ear using a cotton ball. Apply thoroughly to severe leathery skin for best effectiveness. 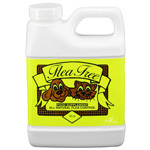 If you have a heavy infestation, the Mange Parasite Oil Remedy works best in conjunction with Food Grade Diatomaceous Earth to keep the environment dry and reduce odors, making it less attractive to fleas, lice, ticks, flies and other insects. 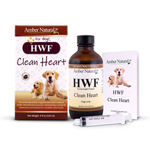 IF your pet has signs of bacterial infection, we recommend Mange Parasite Oil remedy combined with a good natural antibiotic such as Vibactra OR Vibactra Plus OR Colloidal Silver. Any of these natural antibiotic alternatives are excellent and should be given orally 4 times daily for 10 days for infections caused by parasites. IF your pet has been chemically treated for mange mites and has continued to get worse, you need to detox the poisons (Ivermectin, etc.) from the body. 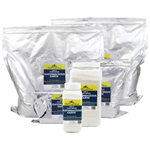 We recommend Food Grade Diatomaceous Earth orally AND using the Internal Gold Detox Kit to cleanse and purify the kidneys, blood, liver, and lymphatic system. 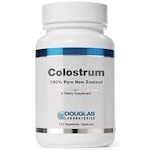 You may also want to consider boosting the immune system with 100% New Zealand Colostrum as well. 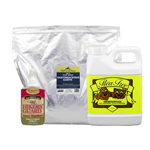 Mange Parasite Oil Kits Information. 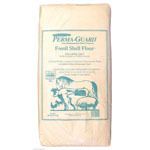 For protection against fleas, mites, mosquitoes, lice, and other blood sucking insects, use Flea Free Food Supplement. Warning: For External use only! Do not give orally, though pet licking will not harm them, this product is not meant to be dosed orally. Watch for allergic symptoms such as hives, trouble swallowing and swelling around the eyes. Keep out of reach of children.